The School moto is "Agre Shastram Prishthve Astram"
The BSF Sr. Sec. School Sri Ganganagar was established as a primary school in 1973 and assumed the status of Sr. Sec. in 1986. 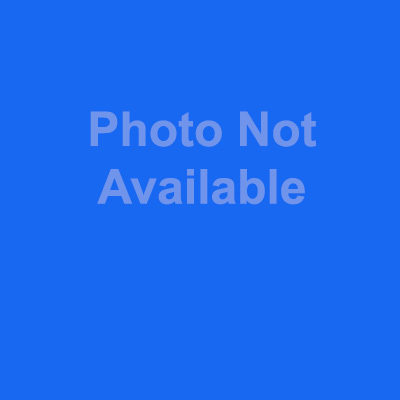 It provides the best possible education at moderate expenses. It is unanimously acclaimed as one of the best School in the region. 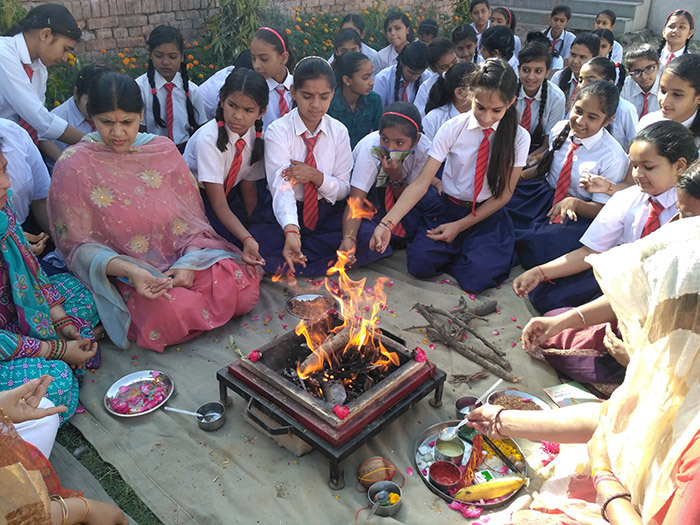 It has produced best result through out its history in board classes.Apart from scholastics excellence the school also conducts a number of co-curricular activities to ensure all round growth of the children. 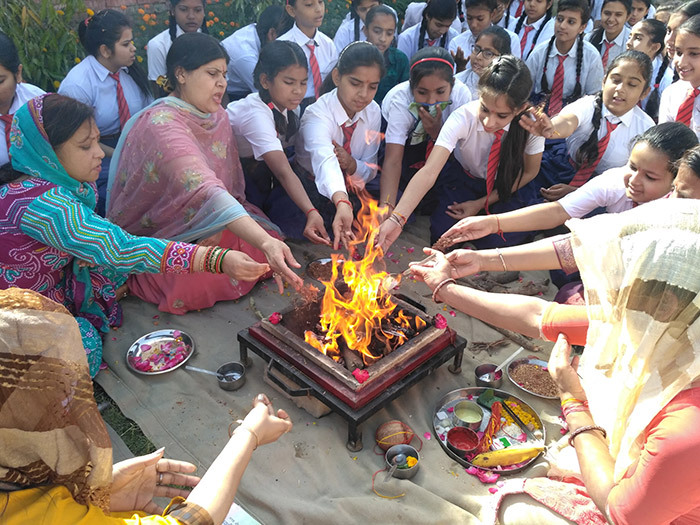 The basic aim of the School is to impart integrated education based on Indian cultural and traditional values and to help children to acquire knowledge in science and commerce at present. The School Provides good sports facilities with participation in CBSE sports and games facilities and brought lot of laurels to the institution as well as to the region. The School has safe secure environment with a good infrastructure of 25 classroom and labs in various subject and a library. Today’s competitive world demand schools to play important role in shaping the children’ future is positive way by imparting quality education. 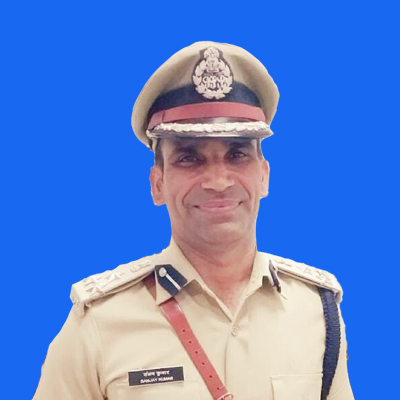 BSF Sr. Sec. 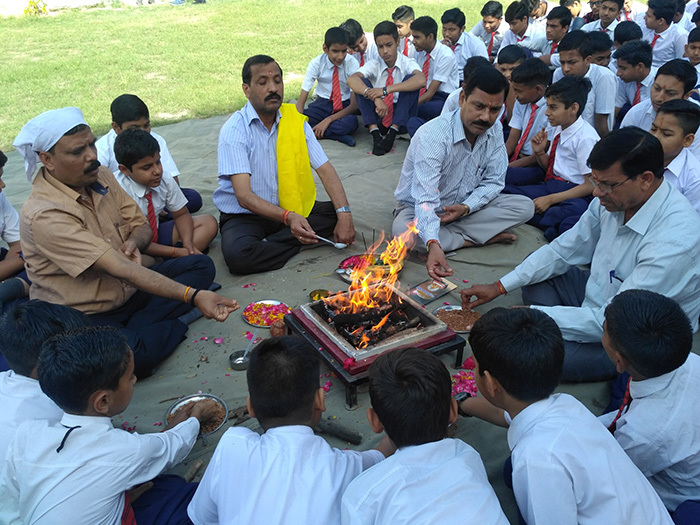 Residential School Sri Ganganagar(Raj) has been serving the society for the last three decades; by providing quality education which consists of Physical, moral, intellectual, aesthetic and moral, intellectual, aesthetic and moral development of the children. We always target the pursuit of academic excellence, character building and intellectual growth with a view to enabling student to become responsible citizens. At B.S.F. Sr. Sec. Residential School, Sri Ganganagar we make completer winners. Welcome to the world of champions. The B.S.F Education system is governed by B.S.F. Central Education Committee headed by D.G. B.S.F. New-Delhi. The BSF has senior Secondary Schools in different location. Besides it, 61 Primary Schools, 03 Polytechnic at Banglore, Tekanpur, STS Tigri Delhi and RJIT, Tekanpur are also run by CEC. The students can take transfer in any of them without any academic or financial loss. All the Schools are affiliated to Central Board of Secondary Education New-Delhi. 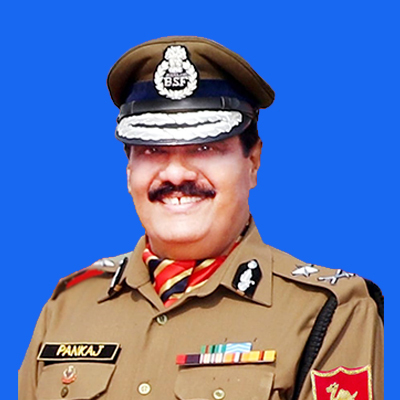 BSF Sr. Sec. Residential School, Sri Ganganagar is situalted in the vast lush green BSF Campus near railway station at Sri Ganganagar Rajasthan The school was established as a Primary school in 1973 and has been marching ahead on the path of progress ever since. At present there are two streams i.e. Science and Commerce available at the Senior Secondary level. Apart from providing quality education to the wards of BSF Personnel, this school also caters to the need of general public. We provide the best education at moderate expenses. 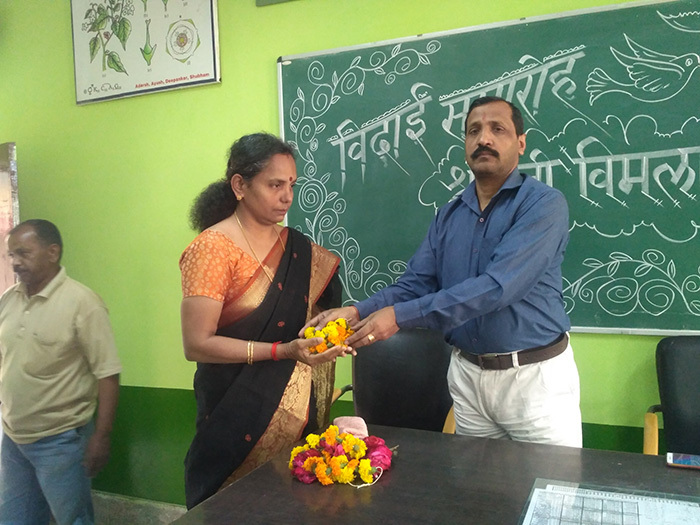 Thanks to its earned reputation and remarkable previous results our school enjoys as the top priority among the parents and students for admission in various classes . Apart from scholastic, excellence, we also conduct many co-curricular activities to ensure all round development of the children. 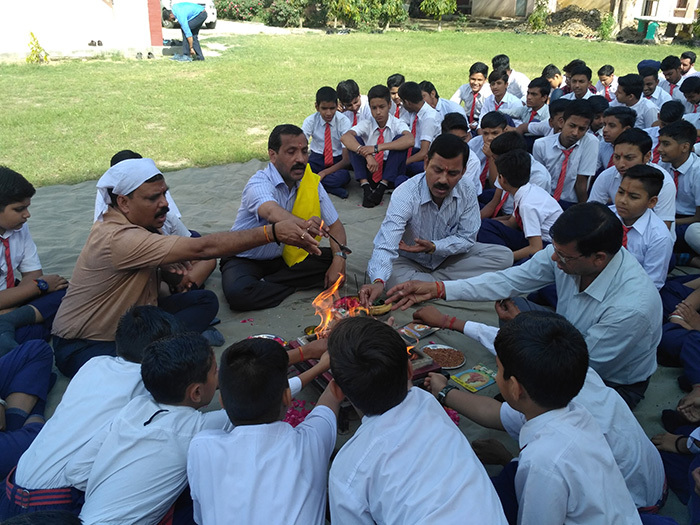 Various inter house competitions such as debate, drama, calligraphy and drawing are held at regular basis . 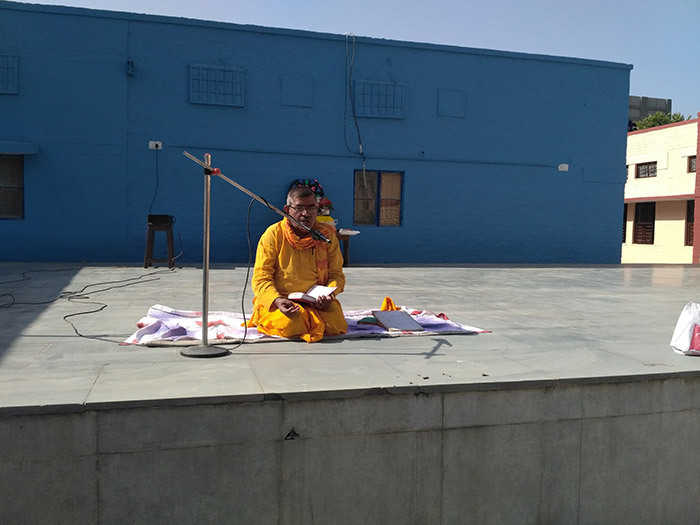 To impart integrated education based on Indian culture and traditions, instructing and helping chi8ldren to acquire knowledge in humanities, science and commerce at present. To develop overall personality of children on progressive line with a comprehensive outlook and self confidence based on sound character and good conduct to enrich the future. The school takes the responsibility of the students, to make them physically, mentally and morally sound citizens of the country. 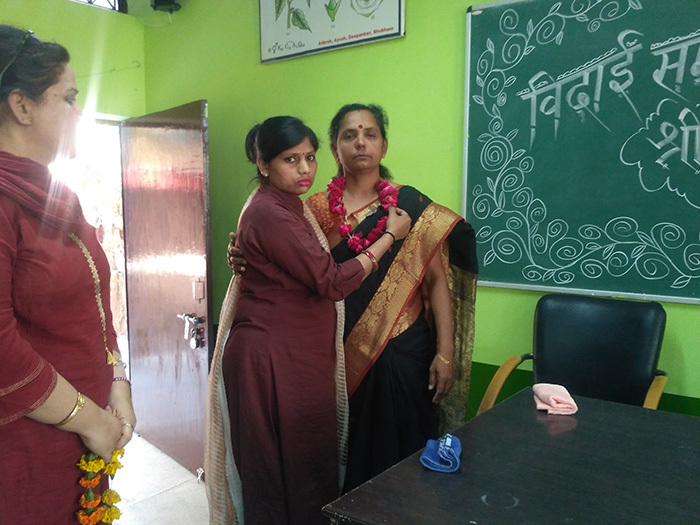 To promote respect for the every segment of society and reverence for the teachers, who help them in the process in a congenial atmosphere. The school building is an attractive one with well ventilated classrooms and well equipped laboratories. The school also has a very big library with huge collection of books on variety of subjects. The special feature of the school is an excellent computer lab along with art room, music room, electric gadget room and wood craft room. The school also has a huge playground with the facilities of basket-ball, football, volleyball court. 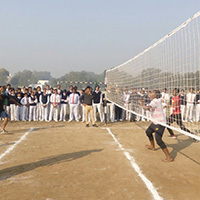 Badminton, kho-kho court and cricket field. The school has a very big well equipped auditorium for organizing co-curricular activities and functions of the school. Health and physical education forms an integral part of the schedule of the school. Our student have proved their talent as an extra ordinary sports men at various national level competitions. Every year dozens of our player participate in various national level games organized by CBSE. The school gives equal importance to enhance various creative and literary skills of children. The students are divided into four houses. Inter house competitions are held at regular basis and are keenly contested. Competitions like Debate, Declamations, Extempore, Poem recitation, Quiz, Speech, Drama, Solo Song, Dances, Mono acting, Fancy dress and discussion are part of CCA calendar and are organized every Saturday. The School has a Unit of Scout for boys. 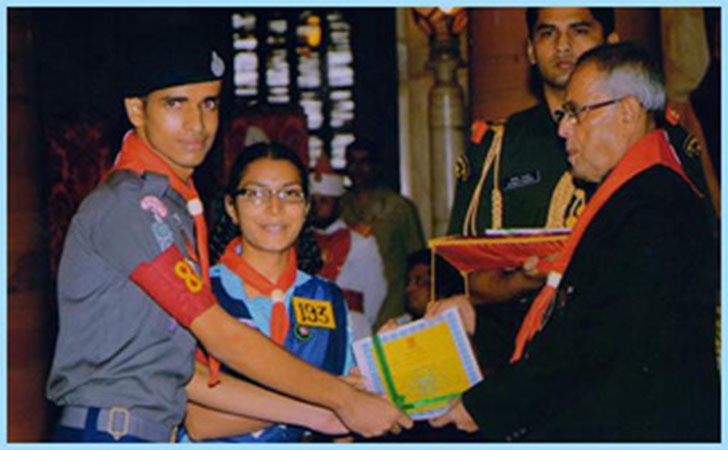 Many of our students have received prestigious President Award for excellence in scouts. The aim is to promote discipline, confidence, patriotism and devotion is students. The school ECO club is also famous for its work in awaring people about saving our planet. 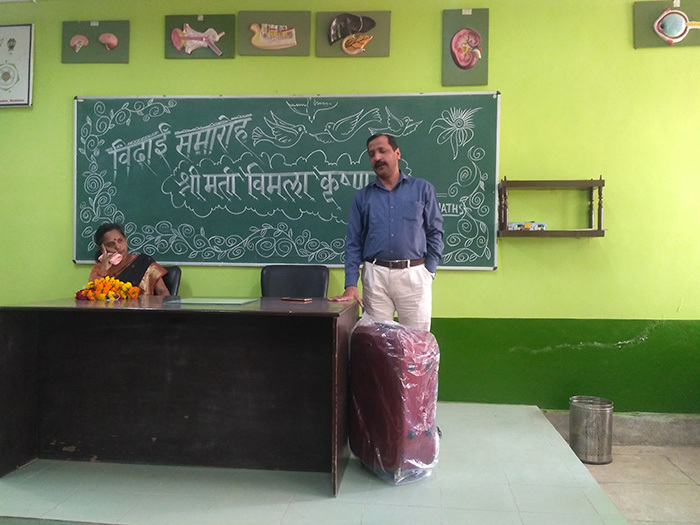 A well maintained wood craft room with all equipments is available for students, a regular woodcraft teacher is deputed to guide them. A well maintained Electric Gadget Room is also available for students. The students can know about technical aspects of various Gadgets. A well qualifies engineer guides the students. The fine arts section of the school attracts a large number of students. An Arts teacher guides the students to pursue their artistic aspirations. 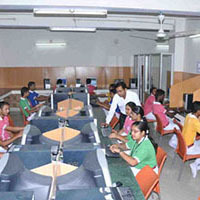 The school also offers Computer education to the students so that they are able to keep abreast with the latest advancement in various spheres. 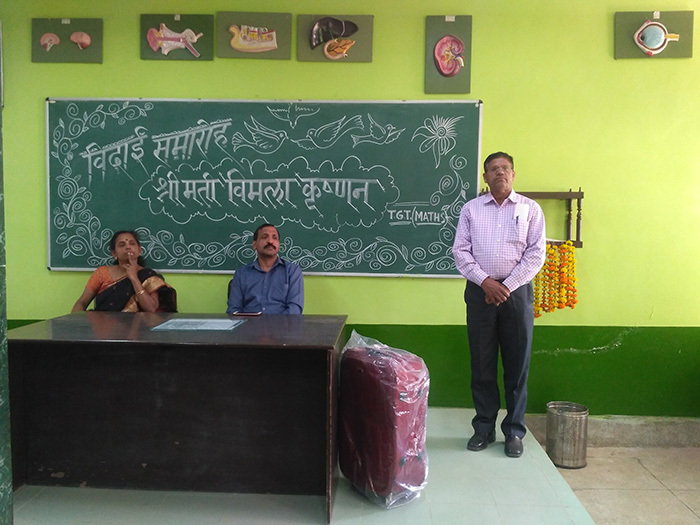 The aim is to provide basic computer education to the students. So that they can pursue higher education in other technical institutions. The school also has facility of internet. The music department under the charge of a qualified Music Teacher imparts training to children in vocal, instrumental classical and western dance. The school also publishes its annual magazine “Marusthali”. The students are encouraged to contribute in the magazine with their literary and creative composition; so that their creative talent can find an apt platform. The school also publishes a quarterly newsletter “Kaleidoscope”. Which showcases all the important literary, co curricular, academic and sports activities of the school it also contains relevant and inspirational compositions from the students and staff members. The newsletters is very popular in the students. The school follows NCERT syllabus and is affiliated to CBSE New-Delhi. The medium of instruction is English. Hindi is a compulsory subject up to class –X and Sanskrit is compulsory upto class VIII. 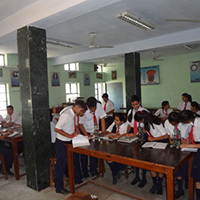 The school cater for Science Stream with Biology/Maths/Computer Science and Commerce as optional subjects at +2 level. On the event of launch of website of B.S.F Senior Secondary School, Sriganganagar, I take pleasure in wishing the Principal, staff and students of school. 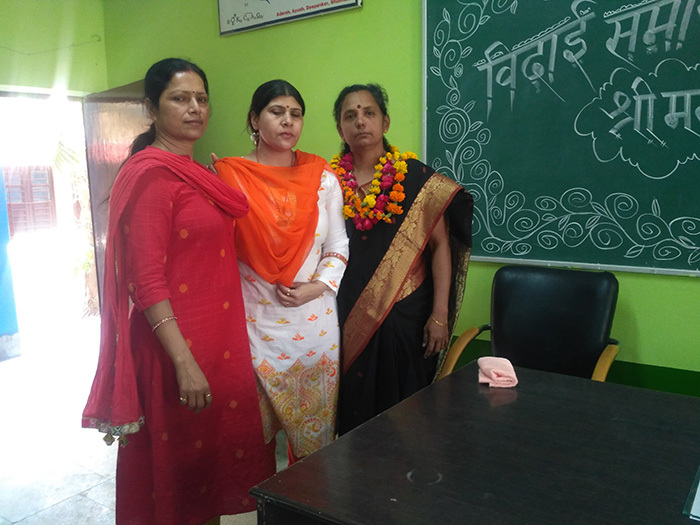 B.S.F Senior Secondary School, Sriganganagar has been serving the society in the field of education for the last four decades. The school has always guided its students on the path of glory and progress with its visionary approach. B.S.F Senior Secondary Schools were founded to promote education for the wards of the BSF personnel. Time to time BSF central education committee has initiated number of programs for improvement the academic performance of students like infrastructural development to provide conditional environment for learning .It is quite satisfying that B.S.F Senior Secondary School, Sriganganagar is successfully accomplishing its objectives. The school is helping students in all round development with sound moral base. The academic and co curricular achievements of the school are worth appreciation. 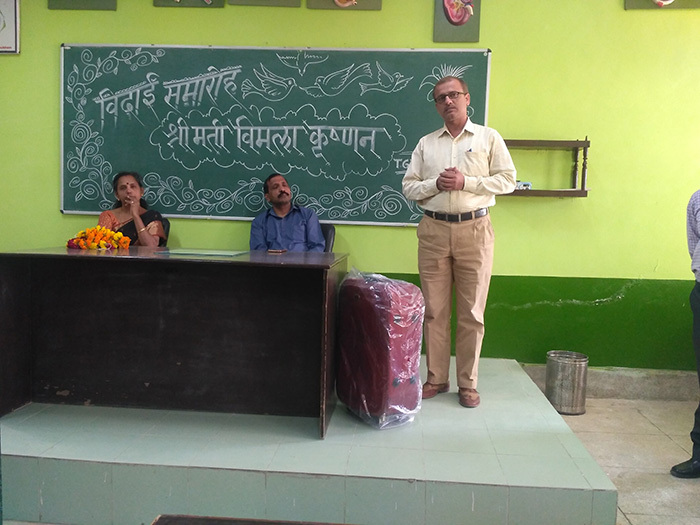 Educational institution is higher order of importance for the survival of our nation and well being of each individual and I am confident that B.S.F Senior Secondary School, Sriganganagar will keep a rendering its services to society by creating responsible, talented as disciplined future citizens. 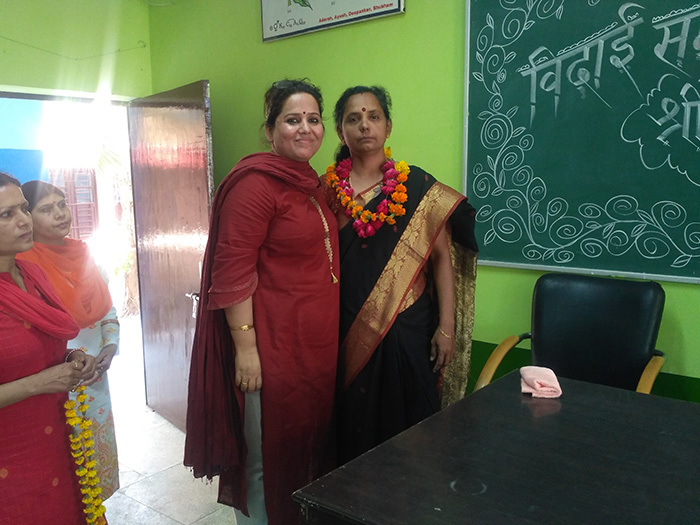 I am sure that the school website will prove very beneficial for all the parents, students, alumni and well wishers to interact with the school. My congratulations to Principal, staff, and students for this noble endeavor. It is a matter of great pleasure and exuberance that the B.S.F Senior Secondary School, Sriganganagar has created its own website. The Parents, Students, alumni and well wishers of the school can get every information regarding the institution at quantum speed. It is a minor to myriad feat and achievements of the students in scholastic and co scholastic areas. B.S.F Senior Secondary School, Sriganganagar is well known for its discipline, value based education and overall development of students. The school targets the pursuit of academic excellence, character building with the aim to enabling students to become responsible citizens of our nation. The school has to its credits a long history of achievements and landmarks in the fields of academics, sports and co scholastic activities. It is one of the most oldest and respected co educational residential schools in Sriganganagar. The school is successfully fulfilling its prime aim of providing quality education to the wards of BSF employees. For many decades the school has proved its mettle in CBSE board exams. I am confident that the school will continue to march ahead on the path of progress and will achieve new milestones in the time to come. I extend my heartiest felicitations to the principal, staff, students, parents and well wishers on joining the family of internet. The competitive scenario in the current world demands educational institutions to play significant role by imparting quality education based on human and moral values. The education which enable an honorable living and which ensure child’s physical, emotional, intellectual, aesthetic and moral development. I feel very proud to state that, B.S.F Senior Secondary School Sriganganagar is successfully accomplishing their objectives for the past three decades. Our school is one of the most prestigious schools of Sriganganagar district. The academic and co curricular activities at national level. Many of our students are serving the society as doctors, engineers, administrators, Army officers, in India and abroad. Our faculty members are enthusiastic, motivated and committed to the highest standards of teaching. 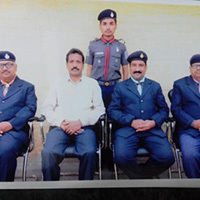 We, at B.S.F Senior Secondary School Sriganganagar strives at providing quality education to wards of BSF personnel’s, who work in difficult conditions and safe guard borders of our Motherland , we on part try our best to make their children responsible, disciplined and successful citizen of nation. I assume you that we will leave no stone unturned to achieve new heights of success and glory. With these words I welcome you all on the website of B.S.F Senior Secondary School Sriganganagar. I am sure that parents, students and alumni will find it very useful. 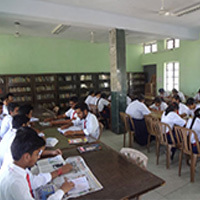 The library complement the teaching learning process inspiring the students to dream high. It strives to make resources readily accessible whenever they are required to enhance and promote the total growth of students. School Library also inculcates the habit of reading any students & teachers. The Biology Laboratory is situated in the ground floor of Science building. It has all necessary Biological equipments, sample and species for experimental purpose up to 10+2 level, including the latest model of compound microscope and profusion of interesting slides. The Chemistry Laboratory is situated in the ground floor of Science building. All equipments and chemicals are available for performing experiments. 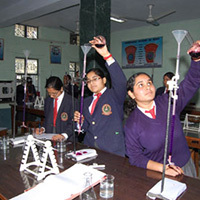 The students are allotted their own experiment tables and each such table contains necessary reagents for experiments. It is a well maintained Laboratory with all necessary equipments required to perform experiments till 10+12 level. The process of issue and returning of equipments is at the same time strict as well as quick so that the students can devote their maximum time in performing experiments. The school also provides training for Scout JD (Junior Division). The basic concept of this training is to prepare the students in their tender age to learn about unity and discipline. This instills the spirit of nationalism among children. 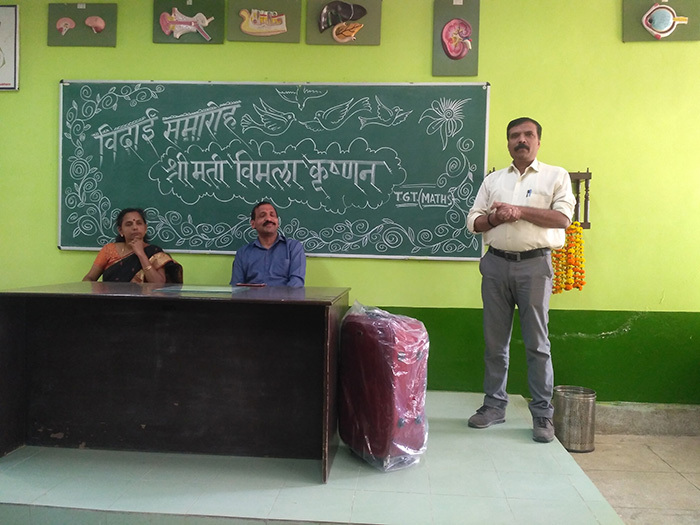 To impart the skill of obtaining self sufficiency in handling various day to day wood work related, minor as well as some major problems, a workshop for skill development in wood work exist in the ground floor of the school building. The school gives equal importance to enhance various creative skills of children. The students are divided into four houses. 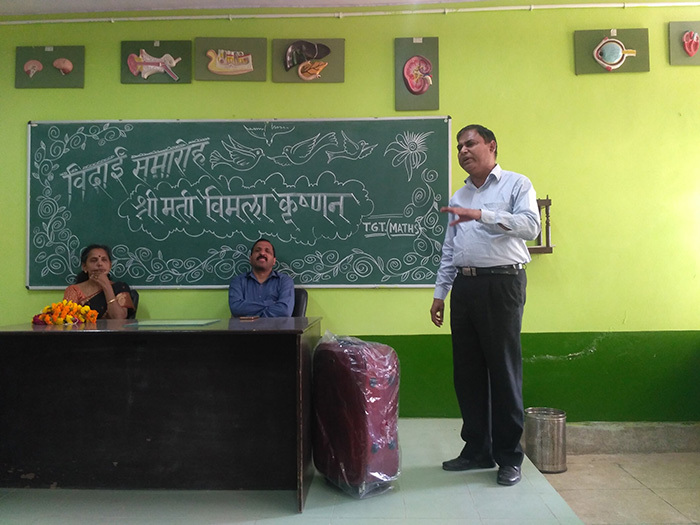 Competitions like Debate, Declamations, Extempore, Poem recitation, Quiz, Speech, Drama, Solo Song, Dances, Fancy dress and discussion are part of CCA calendar.